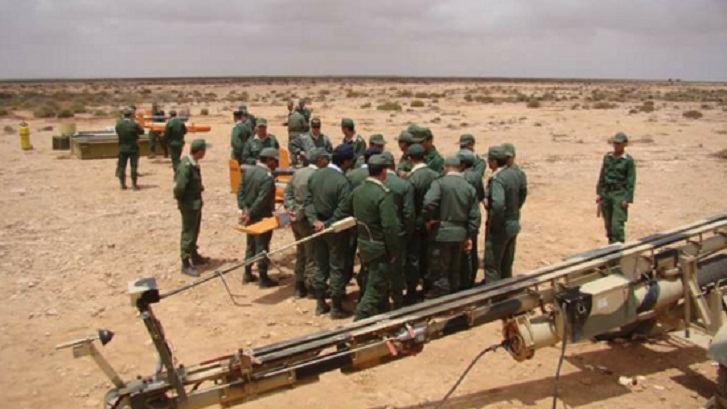 Units of the Royal Armed Forces (FAR) and Gendarmerie have been redeployed to the Moroccan Sahara near the buffer zones following the reopening of the former Sahara road connecting the city of Choum (in the far north-east of Mauritania) to Tindouf, in southwestern Algeria. According to press reports, FAR infantry units, reinforced by units of the gendarmerie, were deployed in the buffer zone bordering the Moroccan Sahara defense wall also because of the recent provocations of the Polisario in the demilitarized zone of Tifariti. Instructions were given to the military units stationed in Bir Guendouz, Techla and Aousserd to respond firmly to any provocations against FAR or military structures along the border with Mauritania. This redeployment of the Moroccan army comes following the reopening of the border crossing between the far north-east of Mauritania and the southwestern Algerian town of Tindouf, where the Polisario-run camps and the Polisario headquarters are based. The move is primarily meant to block the way to Polisario armed militias who may be tempted to take this route to infiltrate the southern provinces of the Kingdom through Mauritania, since the border with Algeria, is already secured by the Moroccan defense wall. This former sub-Saharan road linking Tindouf / Choum / Saint-Louis, was closed in 1963 after the Sand War broke out between Morocco and Algeria. This closure had completely paralyzed caravan and commercial traffic on this road, leading to the economic collapse of the once flourishing cities of Ain Bintili, Bir Moghrein (Fort Trinquet), F’Derick (Fort Goureau), Agui, Ouadane, Chinguetti, Ksar Torchane, Atar and Tidjikja. What's your opinion on the Moroccan autonomy proposal?